Visitors to Virginia&apos;s Blue Ridge can learn about the rich music history of the region by taking a road trip along The Crooked Road - Virginia&apos;s Heritage Music Trail. The popular music trail is the subject of a recent feature for the Spanish version of the AARP website. The story is titled "Explora las colinas de Virginia - Pasea por Crooked Road y recorre la historia de la musica estadounidense," which translates to "Explore the Virginia Hills - Stroll Down Crooked Road and Tour the History of American Music." The article was written by Kitty Bean Yancey, who&apos;s produced multiple articles for AARP about Virginia&apos;s Blue Ridge. 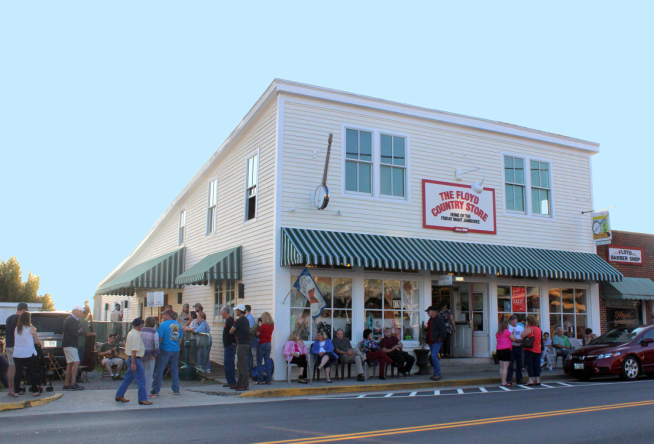 Unique experiences on The Crooked Road in the region include The Artisan Center Along the Crooked Road in Rocky Mount, attending the Friday Night Jamboree at the Floyd Country Store, and the Blue Ridge Institute & Museum in Ferrum. Visit the AARP Espanol website to see the complete article.